Margit Brazda Poirier, MS, GPC, of Mendon, NY, created her consulting business, Grants4Good LLC, in May of 2009 to "help nonprofit organizations and businesses find and get grants to make their work possible." "We work with organizations to help them get more grants in less time through interactive training sessions, individual and group consultations, and assistance with finding grant opportunities and preparing grant proposals," she said. Before becoming a consultant, Poirier had "lots!" of other work experience. "I worked for the Monroe County Planning and Health Departments for 14 years - that's where I wrote my first grant applications," she said. "I've also taught environmental science as an adjunct at MCC and RIT, consulted in environmental work, and was director of a large family foundation in the Rochester area. That is where I really was able to appreciate the important work that nonprofits provide in our community." Poirer's decision to go into consulting was "serendipity." She left the foundation to have more time at home with her son and "found myself starting to help nonprofit organizations from my home office." The business seemed to grow almost on its own: "Now it's me full-time, and two part-time associates!" Before launching her consulting business, Poirier did her homework. "I read books about consulting and took an online course specific to launching a grant writing consulting business," she said. "Since then, I've continued learning from books, webinars, my peers and at conferences." Most of Poirier's clients are nonprofit organizations of all sizes throughout the Greater Rochester region and New York state; she also works with some businesses. "All of them have one thing in common: They realize the need for grant funding to supplement their revenue." While Poirier greatly enjoys the independence and flexibility of owning her own business, her clients are equally important to why she revels in consulting. "I love the ability to plan my own schedule and work with some wonderful and dedicated people," she said. "I admire their work, and that motivates me to give them my very best." Multitasking and being well-organized have been key to Poirier's success as a consultant. "The ability to manage multiple deadlines and clients priorities is one of the biggest challenges, so it requires strong organization and time management skills," she said. rochester.rr.com, considers himself a coach rather than a consultant. “My sense is that a consultant works with a company on one particular matter, while coaching gives an overview of the whole business,” says the Penfield resident of his approach to working with clients. Nevertheless, “I’m a big advocate and promoter of entrepreneurialism.” That’s his core passion. The owner of that business later acquired a related franchise system called AdviCoach and Lewis took it on around 2012. It’s been his focus ever since. He offers business strategy/planning, business support services, coaching, facilitating, management consulting, problem solving and professional organizing. Lewis’s ideal or predominant client is “someone who owns his own business with an income of $500,000 and up, who is looking to grow,” he said. To Lewis, the appeal of being self-employed relates to being able to set his own processes for his business. He sees franchising as a good option for someone with an entrepreneurial perspective because it can take some of the pressure off a business owner. “I felt especially good about being a Manpower Staffing franchisee when it was time to computerize” – the top level of the corporation took care of all aspects of equipment and training, including written manuals and guidelines. “It was like being in business for yourself, but not by yourself.” That experience helped Lewis learn the value of setting and defining systems in writing, he said. Another appealing aspect of consulting or coaching is being able to get involved with a client’s business “from the bottom up and the top down,” Lewis noted. Lewis helps clients understand the future of their businesses and, as Stephen Covey advises, work with the end goal in mind. Among the useful tools in managing his own business has been The E-Myth Revisited: Why Most Small Businesses Don’t Work and What to do About It, by Michael Gerber. He also has found the Myers-Briggs personality test and DISC (Dominance, Influencer, Steadfast, Compliance) assessment tool useful for understanding himself and helping his clients understand their own behaviors and those of their employees. Good listening, assessment, evaluation, analysis and relationship-building skills are essential for a successful consulting or coaching business, according to Lewis. Being able to see the big picture, being innovative and defining goals also are key to “helping you see where you are and where you should be,” he said. 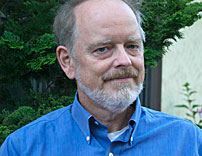 While most RPCN members are one-person consulting businesses, “serial entrepreneur” Lee Drake is happily ensconced as CEO of OS-Cubed, Inc., a company he started in 2006 that now has six employees and a suite of offices in the Village Gate complex in Rochester. Lee Drake of OS-Cubed talks about what he likes about owning his own business and having a team of employees to help him come up with solutions for his clients. Drake describes himself as a graduate of Cornell University’s ALS School, programmer, supporter of Habitat for Humanity and FIRST Robotics, and fan of computer and board gaming along with science fiction and fantasy books. To remain on track, Drake said he “takes frequent retreats” so he doesn’t get locked into anything that is trending downward and can get away from the day-to-day business responsibilities and focus on the larger aspects of planning for the future of the company. He has built a worldwide following of users who rely on him for up-to-date computer, security, social media and information technology services and news. He speaks about topics such as computer security, programming best practices, building content-managed websites and building online communities, virus and spyware prevention, social media, and other computer-related topics. OS-Cubed stands for “Optimal, Stable, Secure Solutions,” and that “philosophy drives each solution we build to solve a customer problem,” according to the company website. Most of OS-Cubed’s clients today are in the medical field and manufacturing, along with some smaller nonprofits. “It’s about a 50-50 split between tech development and IT management activities,” Drake said. ”Our services include website engineering, tech support and service, managing IT, building system infrastructure, hardware and software, along with sophisticated things like e-commerce. Drake found his employees through social media, connections or his last company. Social media is also his number-one way of finding and interacting with clients, he said. Physical networking – going to events and serving on organizational boards – also plays an important role on how he maintains and grows the business. 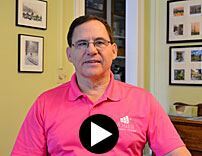 Here is a short video in which Lee describes his business and why he enjoys it. For Drake, RPCN has been valuable as “an excellent source of collaborators.” “I enjoy being around smart people, and everyone in RPCN is smart,” he said. What the organization could do better, he said, is to “look more at clients like me – that is, someone who is building a consultant business of consultants. That’s very different from an individual.” He suggested creating a division of RPCN that concentrates more on consulting businesses with multiple employees. Ruth E. Thaler-Carter (www.writerruth.com) is a freelance writer, editor, proofreader and speaker whose motto is “I can write about anything!”™ She is also the owner of Communication Central (www.communication-central.com), which hosts a conference for communications entrepreneurs in the fall. Tracey Aiello of the Angelo Planning Group has made a fulfilling, enjoyable career as a consultant for the past 15 years by helping other people find new jobs and, more recently, helping women manage their finances more effectively. Here is a video of Aiello talking about his involvement with RPCN and his latest project. Since then, Aiello has moved from client to driving force with the August Group, which is his major networking commitment. He has seen that organization grow from 300 to more than 6,500 people helped over the past 12 years. Aiello loved every job he has had and has no regrets about any of them; even though “there are a lot of things I would have done differently; any failures were learning experiences,” he said. Like many RPCN colleagues, he started consulting without a formal business plan. “I just didn’t realize that I did have a plan in mind.” It wasn’t anything formal or structured, but it worked like the proverbial charm. Helping people out gives Aiello his greatest sense of reward and fulfillment as a consultant. His favorite question to ask potential clients, but actually anyone he meets, is “How can I help you?” That mindset translates beyond his business life; in the recent blizzard, Aiello hopped out of his car and started pushing other people’s vehicles that were stuck in the snow! WIN provides not only financial planning advice and resources, but fun as well: The April meeting will be held at a paint-your-own-pottery shop and the May meeting will be at a garden center. In addition to RPCN, WIN and the August Group, Aiello also is involved with a lay ministry program at his church and is a Boy Scout leader. Keeping basic business principles in mind is important to Aiello and part of the advice he offers anyone he helps. That includes things like presenting a professional, businesslike appearance at any event associated with networking and interacting with colleagues. “You only have a few seconds to make that first impression," he said. Like many RPCN members, James (Jim) Barton became a consultant when his corporate job disappeared. He had worked for Bausch and Lomb (B&L) for a total of 22 years in several roles, the last seven as vice president for Business Development in the company's Vision Care (contact lens) Division. He moved to Rochester in 1990 for that position, and spent a total of nine years in Asia in executive marketing and sales roles. When B&L was restructured as part of being sold, he had the option of going back to industry with another company, but "in thinking deeply about it, that quite frankly didn't appeal," he recalled. "I decided I could use my skills as an independent businessperson. I thought that would be fun." It certainly has worked out well. Barton incorporated his business, James H. Barton Consulting, LLC, in July of 2013 and has found success and fulfillment in his consulting role. He does several large projects a year. His wife helps with bookkeeping, and he subcontracts the services and knowledge of colleagues as needed for some projects, such as market research or advice about a new technology or market. Among the influences in his decision was that "I saw a need that I could help fulfill," Barton said. "My role in business development was ideal and relevant to becoming a consultant. I was responsible for acquiring technology from outside the company, usually through licensing. Many small and medium-sized companies would come to us with technology they thought would be appealing. Their products would be good, but their marketing was often bad - they didn't understand the needs of a corporation," or how to tailor a presentation to those needs. "It occurred to me that there was a pattern," Barton said. "They needed help thinking through a strategy. I would often spend extra time explaining such things to them. It was a back-handed way of doing consulting." While the business is thriving, there were a few challenging moments. "I learned from my mistakes," Barton said. "The first time I used a subcontractor, I didn't include the incremental costs." Now he knows better, and always discusses the costs he might incur for their participation beforehand and works that information into the contract with the client. Barton also has changed direction compared with how he originally envisioned his consulting business. He started out intending to offer four services, but quickly reduced that to two: "working with small and medium-sized companies to help them market their technology to larger companies, and providing strategic advice to larger companies interested in new technology or expanding to new geographic markets." He dropped the other possibilities because "there was less demand for them and I was lucky to have a steady flow of work in those first two areas, so it occurred to me, 'Why fight it?'" 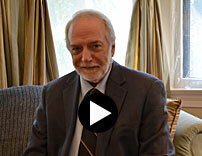 Barton finds clients and clients find his consulting company primarily through networking. "I don't think I'm unique in a history of having worked for and left a big corporation," he said. "To market the business, I focus on account development with individuals in companies I already know. I had a large network of contacts all around the world. I identified the likeliest as clients to work with, suggested we talk, and that has been the source of initial and ongoing work." Referrals also have helped Barton build his business, and he's had "significant" repeat business as well - a testimony to the quality of his work, and his marketing chops. "I continue to fortify existing and build new relationships through events and associations, and I network locally as well as nationally and internationally," he said. Barton joined RPCN in the spring of 2013 and found it "extremely important" in planning to launch his consulting business. "I'm an experienced businessperson, but I was extremely nervous about this," he said. "There were all kinds of decisions to make, and it can be overwhelming. RPCN let me connect with members with a large amount of practical information to share - people who went through the same experience. It was very useful in helping me set up my business with full confidence." To express his appreciation, Barton now serves on the RPCN board and took on chairing the program for the most recent RPCN conference. "I felt it would be a good thing to give back to the organization in a practical way," he explained. "That kind of event helps RPCN grow and build itself up as an organization known for expertise and providing service to small businesses." On his own behalf, he made about 30 new networking contacts by volunteering to help manage the conference. As an expression of his commitment to networking, Barton is also a member of Digital Rochester and is on the Strategic Advisory board of Ovitz, a start-up company located at High Tech Rochester, and the advisory board of the Biointerfaces Institute of McMaster University in Ontario, Canada. For colleagues in RPCN, Barton "can lend help to people in certain circumstances, especially if they've been let go from corporations," he said. "I can give practical advice. I have real depth of knowledge in technology development, tech commercialization, etc. I lived and worked in China and Japan for nine years, so I also can share perspectives beyond Rochester." Ruth E. Thaler-Carter (www.writerruth.com) is a freelance writer, editor, proofreader and speaker whose motto is "I can write about anything! "™ She is also the owner of Communication Central (www.communication-central.com), which hosts a conference for communications entrepreneurs in the fall. For RPCN member Mary Sperr, consulting has been a path to doing what she loves and loving what she does. Sperr is co-president and co-owner of Blue Dog Marketing with fellow RPCN member Laurie Enos. They launched the company in 2012 and provide "a full range of marketing services, from logo design to brochures, from website design to ghostwriting blogs, from event planning to PR services," Sperr said. Before going into consulting, Sperr worked as a marketing director and in business development at engineering companies and as an account manager in the grocery food business. Consulting was attractive because of the flexibility it offered, along with the opportunities for doing work "in areas that I enjoy, like providing a new brochure design for a client and having them love it." Sperr and Enos had known each other for about 20 years before deciding to create their consulting company together. "We had a great foundation of friendship upon which to build, and we still enjoy working together," Sperr noted. "We complement each other, which helps us round out our services. It also means we can take on bigger projects and clients than we could handle on our own." Before launching the business, they took a course on small business offered by the Small Business Development Council and Monroe County. "It gave us places to seek more information and we came away with a lot of great ideas and information to start our business," said Sperr. To Sperr's mild surprise and great delight, the company's clients "range from a start-up business or consultant, to hotel chains and universities," she said. "We look for clients that are struggling to market their small business and need/want our help and expertise." Among the resources that Sperr has found most useful in launching, maintaining and expanding her consulting business have been attending many networking events and joining networking groups. "We joined a BNI group 'Rapid Referrals' soon after founding the company, and this did help us launch our business faster," she said. "Our membership in the RPCN has helped the most. We have met many consultants willing to share their experiences and help others. We've been fortunate that a few RPCN members have become our clients." Among the skills that Sperr has found helpful in becoming a consultant have been "my ability to meet new people and turn them into clients; my design capabilities; and my honesty and business ethics," she said. She has no regrets about going into consulting or how she and Enos developed the business. "Of course, we all learn more as our business grows but I have no regrets about starting the business," she said. "There are a couple of potential clients we would have liked to work with that we did not secure, but we have learned from those experiences." A strong believer in networking, Sperr is active in organizations in addition to RPCN: She is president of the Gates Chili Chamber of Commerce, a past president and member of the Hubbard Springs Garden Club, and a councilwoman for the Town of Chili for 14 years. She and Enos also belong to the Rochester Women on the Move networking group. "We do quite a bit of networking to meet potential new clients," she said. While many consultants work on their own, Sperr has found great value in having a business partner. "Having a partner is a wonderful asset because you're not in this alone and you have another professional to bounce ideas off of," she said. "It is also helpful to have some other source of income while starting and building your new business." Consulting has turned out to be the ideal business model for Sperr. "Laurie and I love what we do," she said. "There is nothing better than seeing our clients succeed because we were able to help them grow their business. We mean it when we say 'We help companies be their best in the moment that counts.' How could you not enjoy that!" What Sperr enjoys most about the consulting life is that "every day is different," she said. "Since Laurie and I both love people, that is a fun part of being a consultant and owning our own business. We've finally found something we both love to do." RPCN members who offer coaching as their business service can look to Robin Dettman, MSL, CPLC as a role model. Dettman - who bills himself as an education and business organization coach in his longstanding role as owner of Coaching for Success - launched his consulting business in 1990 but has more than 30 years of "successful coaching focusing on the questions that have helped [his] clients achieve the success they desired." His LinkedIn profile uses "coaching to achieve desired results" as his business definition. 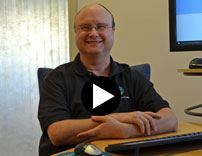 Here is a video interview with Dettman in which he talks about why he launched his consulting business. Through his consulting business, Dettman offers "organizational development - management, change management, reading and understanding clients' current status, and helping them become clear about what I can do with them so they change the situation they are in," he said. "In coaching, you're leading clients to change themselves; you're not changing for them." Establishing a coaching business was a natural progress for Dettman. He had done the equivalent of coaching in his full-time corporate work with Radio Shack over the years - he managed six different stores for the chain, which he says often felt like being an entrepreneur. That also involved a type of coaching work, since a store manager had to encourage and motivate store employees. For Dettman, "independence is a big part" of the appeal of consulting, as is the variety of projects and clients he can work with. "I thrive on variety," he said. "If I'm doing the same thing for too long, boredom sets in. That's why I managed six stores (for Radio Shack) - I needed new challenges. When I achieved success at one, I would move on to another store." He launched his own business because "I like working for myself," he said. In his coaching consulting business, Dettman works with individuals and teams, usually in not-for-profit organizations and school systems. "I help them identify the challenges they are facing and what they want to achieve. Many times, I work with more people from other areas," he said. He has experience in the education field, which makes it easier for him to understand what leaders in that field might need from his services. Dettman earned a master of science (MS) degree in strategic leadership, business administration, and management and operations from Roberts Wesleyan College in 2013 and a BA in photography from the State University of New York Empire State College in 2012. He has been working on certification as a Certified Professional Life Coach from the Life Coach Institute of Orange County since June of 2013. Dettman isn't all business; he also contributes to the community and does some pro bono work, which he has found "often will lead to paid work." He cares about causes such as arts and culture, children, civil rights and social action, economic empowerment, education, human rights, poverty alleviation, and social services, and currently serves on advisory boards for three nonprofit organizations focused on art and education: Baobab Cultural Center, the Help Me Read program and J Reve International. He also is involved with Celebration of Life and a tutoring program at #17 School, and belongs to the Interfaith Forum of Greater Rochester, of which he is a co-founder. "I do a lot of reading and research on spirituality," he said. Among the RPCN programs and services of greatest value to Dettman has been the Absolutely Abby program that helped him strengthen his LinkedIn profile. The RPCN Consulting Business Boot Camp and Friday speakers have been useful as well. "Recently, we've had really powerful speakers," he said. "They've helped me with my approach to clients and what to charge clients." Dettman doesn't have a website - "I couldn't find a real benefit to a website, because LinkedIn gives me all I need" in terms of finding clients. "Educators all over the world are connected via LinkedIn," he said. In addition to RPCN, where he currently serves on the board, Dettman also belongs to SCORE, the Vietnam Veterans Business Council Chapter 20 and the Veterans Resource Center. Workshops taken years ago in using the Microsoft Office Suite and in-service training for school administrators have been invaluable for his business, in terms of both tools and insights into what clients might need. Dettman doesn't see a lot that he would do differently if he were to start his consulting business today. "I've done things recently that I didn't do at the beginning," he noted. "I take workshops and the RPCN's Boot Camp as a refresher. That helps me stay sharp and exercise my skills. I do a lot of research on the Internet and a lot of reading - I have a whole library of books on people who are successful in making change, especially in education." William Glassner's books on reality therapy have been especially useful, he said. Dettman's advice for those considering launching a consulting business is to "be willing to put in the hard work it takes to develop a strong network of current and potential clients. You can't just put your name out there and expect clients to come running," he said. RPCN's new vice president, Laurie Enos, brings to the organization a wealth of experience in sales and marketing on the national and local levels. Enos is the co-president/co-owner of Blue Dog Marketing, a consulting business that she launched in 2012 with Mary Sperr. She had known Sperr for almost 20 years, having met through a mutual involvement in local politics. They joined RPCN not even two years ago and plunged right into active membership, primarily by helping with organizing and promoting its 25th anniversary events. 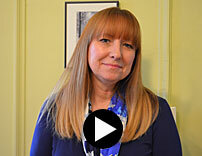 Here is a video interview with Enos in which you will find out what she likes about consulting. Before going into her own consulting business, Enos learned the ropes as the sales and marketing director of a national consulting firm that had offices in Houston and San Francisco. "I spent a lot of time in the airport!" Blue Dog Marketing offers a full range of marketing services, Enos said - from logo design to brochures, from website design to ghostwriting blogs, from event planning to public relations. She and Sperr work with a wide range of clients - one of the aspects of consulting that she especially enjoys. "Our clients are in so many different industries and we enjoy working in the diverse areas," Enos said. "We look for clients that are struggling to market their small business and need/want our help and expertise." While many RPCN members go it alone, Enos has found that sharing the business with someone else is a great model to use. "Having a partner is a wonderful asset because you're not in this alone and you have another professional to bounce ideas off of," she said. Enos and Sperr didn't start their own consulting business on a whim. Before launching, they took a course on small business offered by the Small Business Development Council and Monroe County. "It gave us places to seek more information, and we came away with a lot of great ideas and information to start our business," Enos recalled. RPCN showed up on the duo's radar when Sperr talked with Bob Lurz at an August Group job fair one year. Then a client asked Sperr to go to an RPCN meeting, and she was hooked. "Mary went and later told me that this was a group we needed to join, so we did," said Enos. Enos has been an active participant in RPCN events and programs almost from the moment she joined and now is an officer of the organization. What led her to be more than a "checkbook member" and get this involved is that "I am one of those people who always gets involved in any organization I belong to," she said. "I was raised to give back and I enjoy doing that. I saw a need while attending meetings and then Dave Bassett asked me to be on his board. A personal 'ask' can make all the difference!" Being in RPCN has helped her business, Enos said, in the most gratifying way: "We've been fortunate that a few RPCN members have become our clients." Because Enos and Sperr believe in community involvement, they also belong to the Gates-Chili Chamber of Commerce, where Sperr is the current president; Greece Chamber of Commerce; and Rochester Women on the Move. Enos and her business partner are the epitome of a successful consulting business. "Mary and I love, love, love what we do," she said. "There is nothing better than seeing our clients succeed because we were able to help them grow their businesses. How awesome is it that people pay us to do what we love!" As with many people, Mary Anne Shew - the only person to serve twice as RPCN president - was urged to join RPCN by Ruth Balkin, whom she had met through the Rochester chapter of the National Association of Women Business Owners (NAWBO). "Joining RPCN was one of the best decisions I made in the early days of my business (2001)," said Shew. "In RPCN, I found a community of caring people with great knowledge and the willingness to share it." Once she joined RPCN, Shew decided to serve as a vice president to build the program schedule and get more familiar with the leaders of the organization and how it was run. "I was very pleased with how well it was organized, thanks to David Young, Bob Penty, Bob Lurz, Steve Royal and many others," she said. Serving as president was a logical next step: "I was willing to step up to being president because there was a great team in place." In addition to helping strengthen RPCN, Shew set personal goals for herself as president - to build and practice her leadership skills. "As a solo business owner, I work on my own a great deal of the time," she explained. "RPCN gave me the opportunity to continue the work I had done in my corporate career to develop leadership skills." One of Shew's favorite outcomes during her first term as president was the first RPCN conference. "The board and I set some milestones and criteria for success and delegated the responsibility to the conference committee, who did a beautiful job," she recalled. "The first conference went off without a hitch, to rave reviews." Shew sees the practice of holding meetings four times a month as one of the reasons for RPCN's success and longevity because it "gives people the opportunity to get to know others very quickly - versus only having monthly meetings - which, in turn, encourages them to join the organization," she said. "This is another special uniqueness that RPCN offers. I can't think of another organization in town that offers so many meetings and with such consistently high-quality content." After Shew's first term as president, another president had to step down and she offered to step in again. The board approved it, making her the only person to date to have served as president twice. Nowadays, Shew continues to run the business she started in 2000. It began as ShewTech Associates, offering website design, development and maintenance. In 2005, she added business coaching and consulting services and rebranded the company as Business Vitality LLC, which is its name today. "I help small companies be successful," said Shew. "I work with small-business owners to be prepared; to produce high-quality results for their clients and customers; and to prosper personally, professionally and financially in their own lives." Shew credits RPCN with helping her continue to grow and develop as a leader. Leading efforts as president to raise awareness in the Rochester business community about RPCN gave her the opportunity to reach out to others on behalf of RCPN, "raising awareness of me and my business at the same time," she said. The organization also enhanced her networking resources: "RPCN gave me access to high-quality consultants whom I feel completely confident about referring my clients to when they have needs that I don't provide. My clients are impressed that I have relationships with such good people." Shew's advice to colleagues is to "attend RPCN meetings on a regular basis to build your tribe of friends and colleagues. No one truly runs a business completely on their own; we all are dependent on each other for success. At the same time, give back to RPCN, help it continue to prosper and grow to support Rochester's next generation of entrepreneurs." Jill Hurst-Wahl, RPCN president in 2001, wears many hats, including instructor, information consultant, speaker and author/blogger. 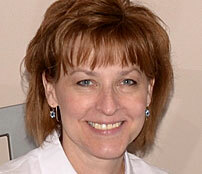 In 1998, she began Hurst Associates, Ltd. , to provide business intelligence consulting. She later branched into consulting on digitization programs for library-related organizations. She was honored as the 2007 "Minority Small Business Champion" by the Syracuse office of the U.S. Small Business Administration (SBA) office, which covers 34 counties in Upstate New York. In 2009, Hurst-Wahl left Rochester to join the Syracuse University School of Information Studies (iSchool) as an assistant professor of practice to teach in its library science program. In 2012, iSchool graduate students selected her to receive the Jeffrey Katzer Professor of the Year Award. 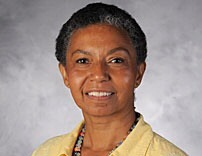 She is now an associate professor of practice and director of the M.S. programs in library and information science and in LIS with school media specialization. "I remember RPCN as a warm and welcoming organization," said Hurst-Wahl. "Members were - and I'm sure still are - interested in helping each other and those interested in developing a consulting practice. The safe space that RPCN created is unique to RPCN. Other organizations want to have that type of environment, but can't do it. I think the founding members were instrumental in creating and maintaining a welcoming environment." What Hurst-Wahl enjoyed most about her involvement with RPCN was its offering of early-morning get-togethers, which she recalled as unique in terms of collegiality, usefulness and affordability. "While I enjoyed the meetings at Brighton Town Hall, I really enjoyed the breakfast clubs," she said. "It was always amazing to see who would come, the questions asked and the information shared … and the food was good, too! Given my experience with other organizations, it is also amazing that all of the meetings were affordable. What mattered was being together and not necessarily creating a large income for the association." 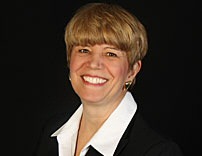 Hurst-Wahl accepted the role of RPCN president because she wanted to give back to the association, although her term of office was short-circuited by her move to Syracuse. She did her best to continue to support the organization from afar, including trying to build connections between RPCN and a similar group in Syracuse. "Sadly, the group here didn't have the RPCN mentality," she said. Hurst-Wahl is now the director of two academic programs. "My work at SU keeps me very, very busy, so I don't have time to do consulting. However, I am still a frequent speaker and an active blogger," she said. "One of my joys is talking with students who have entrepreneurial ambitions. I can share with them what I've learned from my own business, as well as lessons I've learned through RPCN." Hurst-Wahl credits RPCN with helping her set up her consulting business for success. "I think my first RPCN meeting was within a month of starting Hurst Associates, Ltd.," she recalled. "I was heartened to find a group of people who were like me, although in different fields. Here was a group that I could honestly talk with about all aspects of running a consulting practice. RPCN members gave me advice, listened to me talk about my business and were truly interested in how I was doing. I remember Don Perko helping me understand what components would make a difference in project proposals. I remember getting marketing tips from Dave Young." Without RPCN, Hurst-Wahl said, it's likely that "I would not have had the support system I needed to develop the processes I needed to ensure my success." She also found it important that, while many found a home in RPCN, the organization also helped some people recognize that an independent consulting practice was not for them. Hurst-Wahl's advice for new consultants includes:Understand what you don't want to do. Defining this is as important as knowing what you do want to do. Understand what you don't want to do. Defining this is as important as knowing what you do want to do. Know that you're not alone. Others have been through what you're going through. Ask them for advice and listen to what they say. This is where an organization like RPCN can help. Read The E-Myth Revisited, especially if you want to have something other than a "lifestyle" consulting practice. Have people or companies you can consult about your banking, accounting, insurance and legal (BAIL) needs. You may not need to have a BAIL team, but you should know whom to call if you need help. If you're not having fun, maybe what you're doing isn't for you. It may mean that you need to change your consulting practice or do something other than consulting. To read more about Hurst-Wahl's work life, read this story on her blog. For information about her speaking and blogging, visit www.digitization101.com.